ST. GEORGE, Utah (AP) A key step in building up downtown St. George is under way. The Spectrum reports developers gathered with city officials to break ground on a $40 million multi-use project. The “City View” project is planned to include a four-story Boutique hotel, two four-story apartment buildings, retail shopping, restaurants and other commercial uses. 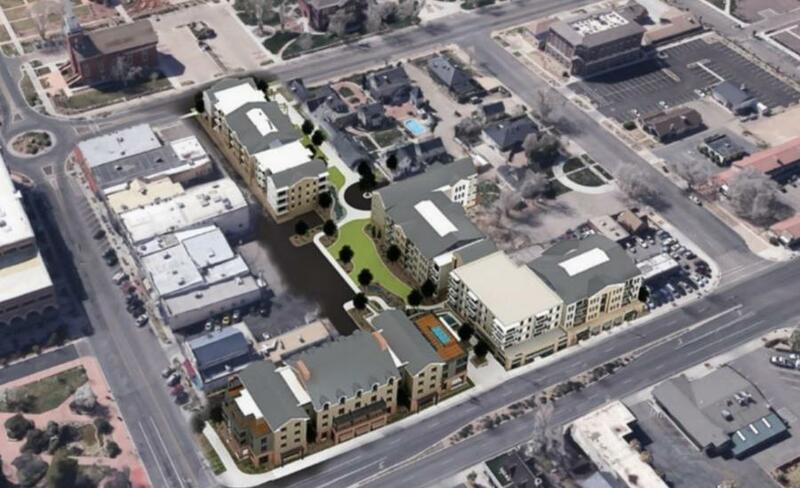 PEG Development representative Cameron Gunter said the first phases, one of the apartment buildings and a parking structure, should be open by next fall. About 110 apartment units would be included in the project, which should help meet a growing demand for apartments in the city. Gunter said the apartments would be higher-end, with monthly rents likely starting at about $900 and go up to $1,600. Construction is expected to be completed by the end of 2018. For more information, visit thespectrum.com.